Dainty delicacy food. 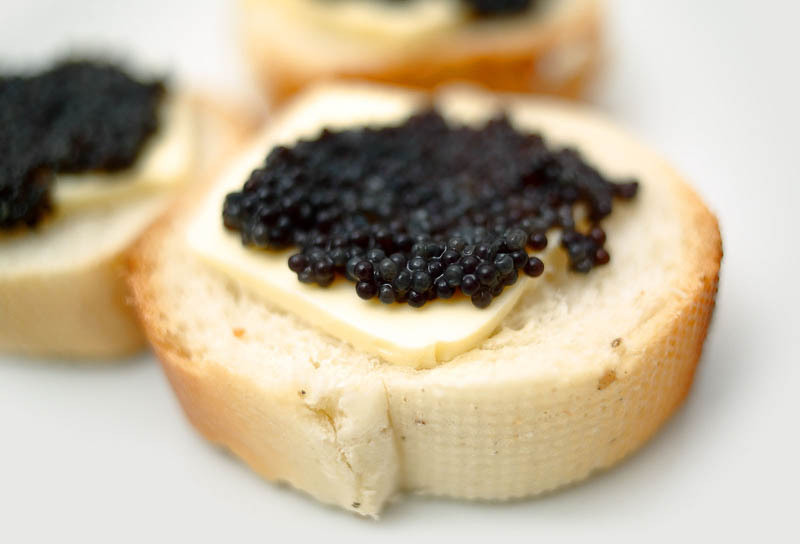 Luxury titbits with black caviar on slice of bread and butter on blur background. Macro, bokeh.